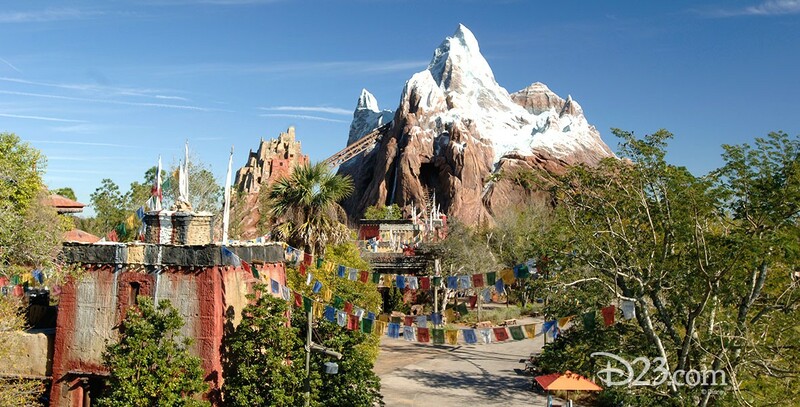 Expedition Everest Thrill attraction in the Asia area at Disney’s Animal Kingdom, opened April 7, 2006. At just under 200 feet, the mountain is the tallest mountain in Florida. Guests board a high-speed roller coaster train climbing into the Forbidden Mountain, then witness havoc created by the inhospitable snarling beast, the Yeti, as their train careens through the darkness.